Around here, we are huge Alton Brown fans. Back in the day, we used to watch Good Eats religiously. One thing that always stuck with me was Alton talking about kitchen tools that were uni-taskers, meaning you could only really use them for one thing. He was a genius about using things everyone has in their kitchen, rather than buying fancy uni-taskers you didn't really need. Enter the waffle maker (some refer to it as a waffle iron). For years, I assumed this was a uni-tasker - you used it to make waffles. Period. 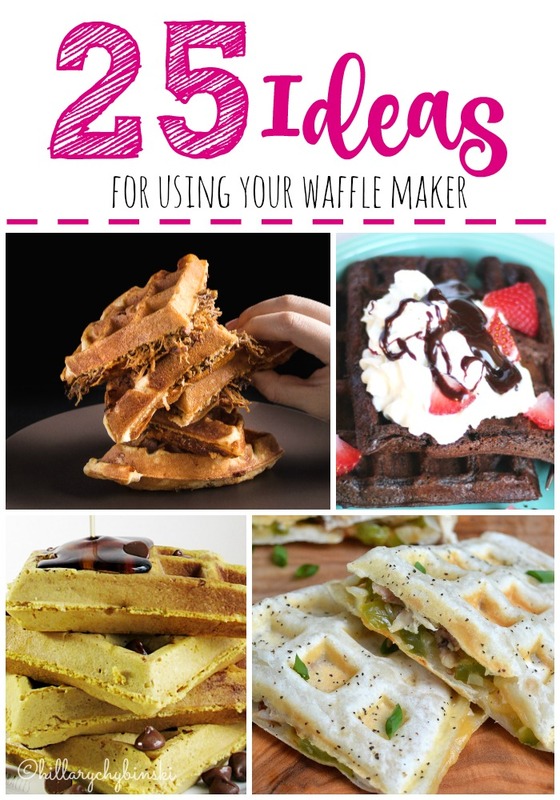 Then a little thing like Pinterest and Food Blogs entered my world, and I started to see really cool ideas using a waffle maker. Okay, in the end, they are all waffles, but they are sweet or savory and most definitely not your frozen morning meal. But we have a very small kitchen with limited counter and cabinet space. I didn't "need" a waffle maker. I finally just broke down and got one. John made the most delicious homemade waffles last Sunday morning for breakfast, we all enjoyed them so much and can't believe we put off getting a waffle maker for so long. 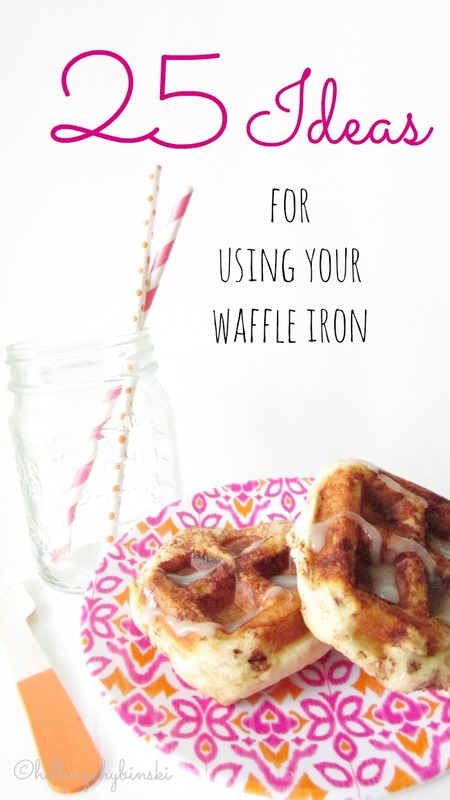 Wow - that's a lot of ideas and inspiration for using that shiny new waffle maker we got! I can't wait to get started. What's your favorite waffle maker idea?